Iceland is truly a land of fire & ice. You will witness volcanic activities & be able to enter the ice cave within a km’s distance. To see this amazing country in a better way, I suggest you stay in the most authentic styles of accommodations in Iceland. By this, I mean do not go to hotels in Iceland. It is an extremely expensive country overall & if you can save money while traveling around, it is by staying in accommodations which are cheaper & better. Hotels In Iceland? Not Necessary, Too Expensive. The favorite of backpackers, hostels are an amazing way to save money, meet new people & enjoy the vibrant atmosphere. I stayed in 5 hostels for a total of 7 nights & the experience was truly amazing. 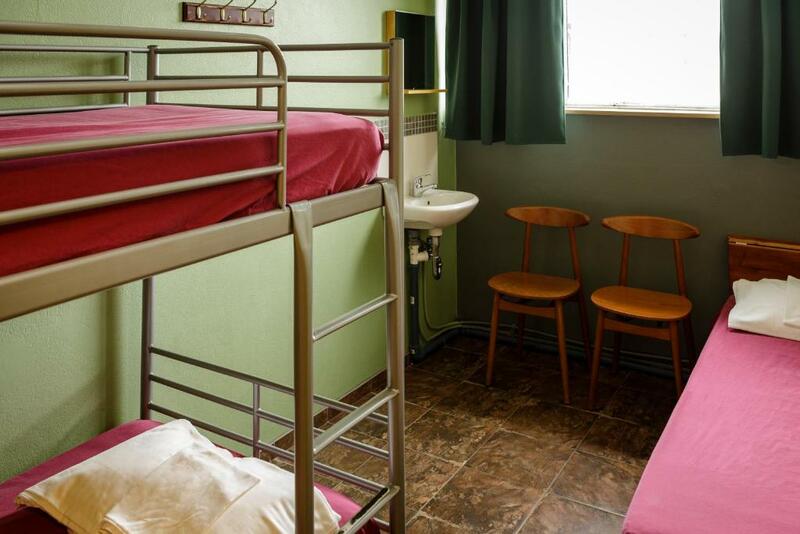 You will find most of the hostels in the capital city – Reykjavik, the second biggest city – Akureyri & you can visit HI Hostel’s website to check their hostels which can be found along the ring road. 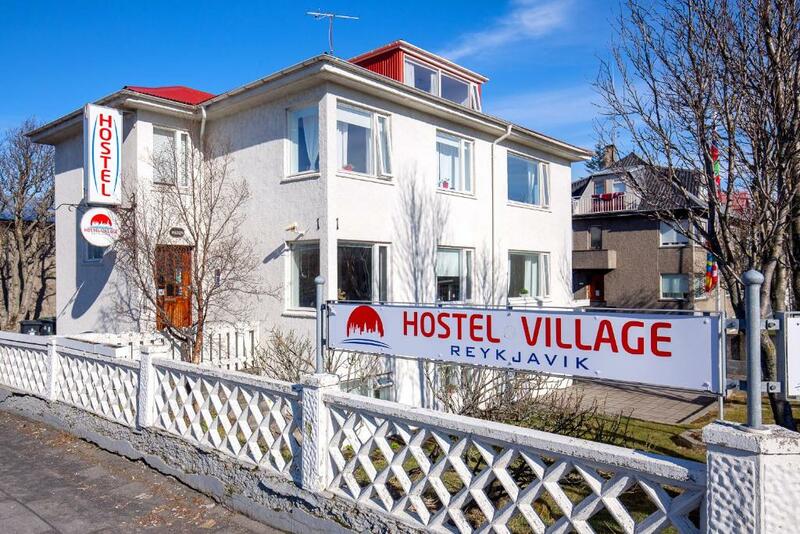 As the name suggests, this hostel is located in the capital, Reykjavik. It is located in a peaceful location with good connection with the airport buses. Popular monuments like Hallgrimskirkja, Opera House etc. are within a walking distance. When I booked it, it was the cheapest (and the best) place to stay in Reykjavik city. Check them out here. The Freezer Hostel is where I spent my 2nd night in Iceland. It is located in a town called the Rif in the West Iceland region. It is truly an experiential hostel. If you are lucky, you can also catch a few cultural programs that happen in this hostel. It is a popular spot for backpackers visiting West Iceland. Check them out here. Ah! I simply LOVE Hafaldan HI Hostel. This one is located in the East Iceland region, in the town of Seyðisfjörður. It is quite accessible from the airport & seaport. The hostel itself is located inside an old hospital building & its interior are to die for. It is run by very friendly people & it is a must stop if you are driving through East Iceland region or if you are arriving in Seyðisfjörður by cruise. Check them out here. 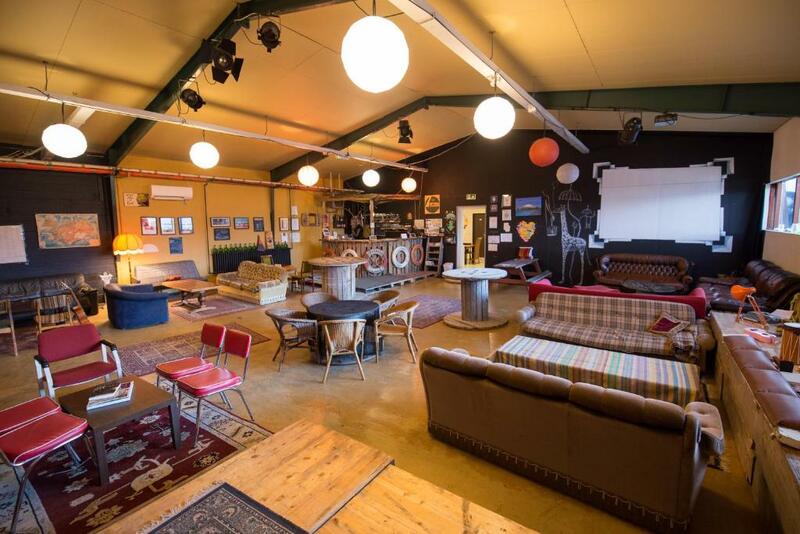 Located near the famous sights like Vestrahorn & Viking village, Höfn HI Hostel is also an amazing place to spend a night at. It is also a very big hostel so it should be easy to find a bed here. Don’t miss the breakfast. Check them out here. This was probably the only hostel during my entire trip where I had a below-average experience. Although, the location of Hostel Skogar is brilliant as it is just next to the famous Skógafoss. 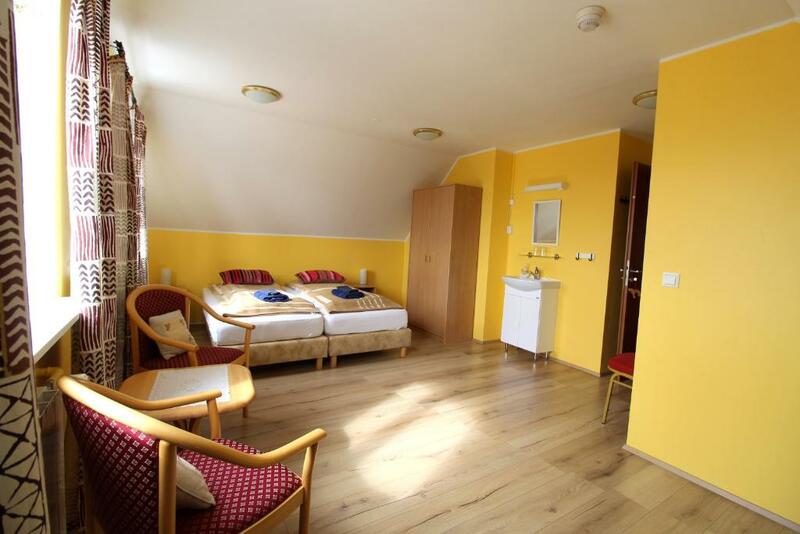 The room size, cleanliness & other facilities are just not up to the mark especially for the amount you pay. They also have a hotel next to them (run by the same management) & a very nice café. Check them out here. You know what is definitely better than hotels in Iceland? The shared apartments that you can find in literally smallest Icelandic towns. They are so pretty, so well-maintained & run by such lovely people that you wouldn’t want to move to your next destination the next day. I lived in 4 shared apartments for 4 nights in total & my experience was simply amazing. This is where I spent the 3rd night during my trip to Iceland. It was also the most difficult accommodation on Google Maps because I couldn’t simply locate it. When we were about 4 hours away, my dad started driving the car & I did my research just to locate this apartment. Luckily, they have now added their place on Google Maps for people to locate it. This apartment was actually a shared apartment but because nobody else was living there, it kind of became a private apartment. The gorgeous sea-view that the living room offered was simply unmatchable. The owner was a nice lady who had kept this apartment so neat & clean like it was built just a day before. Check it out here. Our introduction to West Fjords was Flateyri. This sleepy town with the population of about 180 welcomed us with literally not a single person in sight. We stayed at Bryggjukaffi, this wonderful guesthouse run by a very nice guy. The guesthouse had bedrooms of different sizes – 2 beds, 3 beds, 5 beds etc. The kitchen & living area was also very good. The sea was not very far from the apartment. Also, if you come here in Summer, you can enjoy some nice coffee in the café located below the apartment (run by the same owner). Check it out here. 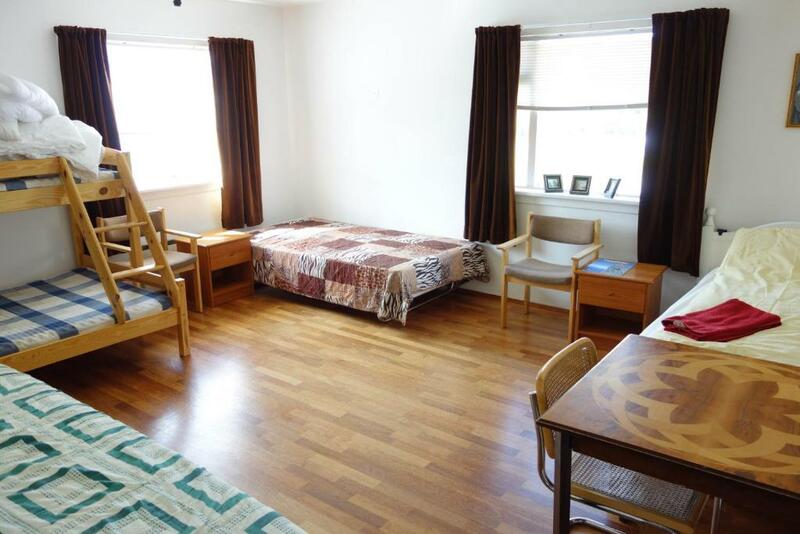 Most of the apartments in Iceland are run by Icelandic families. Some of them live within the same house & some, maybe in the next house or a few miles away. Guesthouse Lyngholt in Þórshöfn was a pleasant surprise because when I booked it, there were hardly any pictures available online but it was a superbly maintained apartment. The ocean wasn’t far, the supermarket was nearby & in this sleepy town, this vibrant home stood tall. My favorite place in their house was the area in the kitchen. I’ve never sipped my coffee at a better location than that one. Check them out here. My mom made a friend here! Guesthouse Steinsholt is truly a family-run guesthouse. It is literally run by 1 family (specifically, 1 lady). There is so much space around the guesthouse that you feel like you are living in an estate located in the countryside. I would recommend you to stay here for at least 2 days. You can talk to the owners, play with their kids, go for horse-rides, buy wool products & simply enjoy the unpredictable weather of Iceland from the inside of this wonderful guesthouse. Check them out here. You know what is better than hotels in Iceland AND shared apartments? Private apartments, of course! There is no greater joy to have an entire Icelandic cottage/apartment to yourself located in a small town. Nothing beats that feeling. I stayed in 5 private apartments for a total of 5 nights during my trip & not even one apartment disappointed me. Sólgarður Apartments was definitely the most high-tech apartment I’ve stayed at till now (in Europe). The owner had sent a PIN code to open a small lock next to the door to get the key. Inside the apartment, there was a Samsung tab dedicated solely to the apartment. It had all possible FAQs a guest might have. The answers were shot as videos & it was very helpful. The décor of the house was peaceful & it was a lovely stay. A great introduction to the North Iceland region for sure. Check it out here. When I first saw the name of this guesthouse, I thought this was owned by someone from South India. That was not the case though. Located in the 2nd biggest city of Iceland, Akureyri, Amma Guesthouse was beautiful. It was located in a peaceful area & there were many parking spaces available as well. This one is also a family-run guesthouse & super clean as well. If you stay here, go for an evening walk around the guesthouse. Check them out here. Höfði Guesthouse is located in Husavik. Usually, it is full but if you get to stay here, remember, you are staying in a historical house. This is the 4th oldest house of the town & possibly of the region. The external look & the design of the internal house is still the same. It is full of amenities like free wifi, free breakfast, laundry etc. The owner is very friendly & the ambiance of the house is really amazing. Check it out here. This is the most expensive cottage I’ve stayed at. Ekra cottage was also a little difficult to find on Google Maps but we got it. Surprisingly, the town of Ekra as a population of 1. And that 1 person is the owner of these cottages and farms around the town. The cottage is made entirely with wood & it is so polished & nice that you will fall in love with it. If you get something in the nearby area for a cheaper price, I think you should go ahead with it because it gets crazy expensive in Summertime. Check it out here. Beindalsholt was the last cottage I stayed at before returning to Reykjavik completing the Ring Road Adventure. There are 2 private cottages available at Beindalsholt. The owners stay about 300m away & were very helpful. The cottage was so beautiful & minimalistic from inside that it created an aww instantly. On clear days, it is possible to see the famous angry mountain of Iceland – (which is _ km away). It is also located very far from artificial lights & hence, it is also a perfect choice to stay if you want to see the Northern Lights in Winters. Check them out here. Whew! This is how I spent 16 spectacular nights in Iceland. Not even one night was spent in any of the hotels in Iceland. I truly recommend that you stay in accommodations that are close to nature, local people & of course, to your pockets as well. Need help in planning your Iceland trip? Go through our specialized articles. Next articleHow I Became A Certified Swiss Chocolatier?